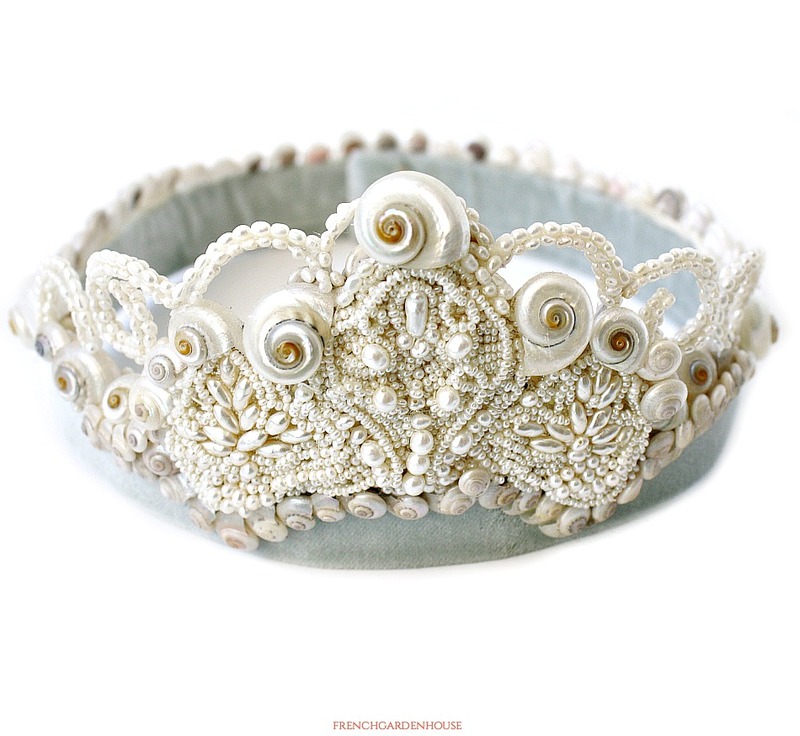 Exceptional hand made Shellwork Bridal Crown or Tiara, fit for a sea queen on her wedding day. 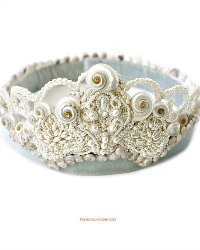 This gorgeous head piece was meticulously made entirely by hand, it is a one of a kind crown with personality. 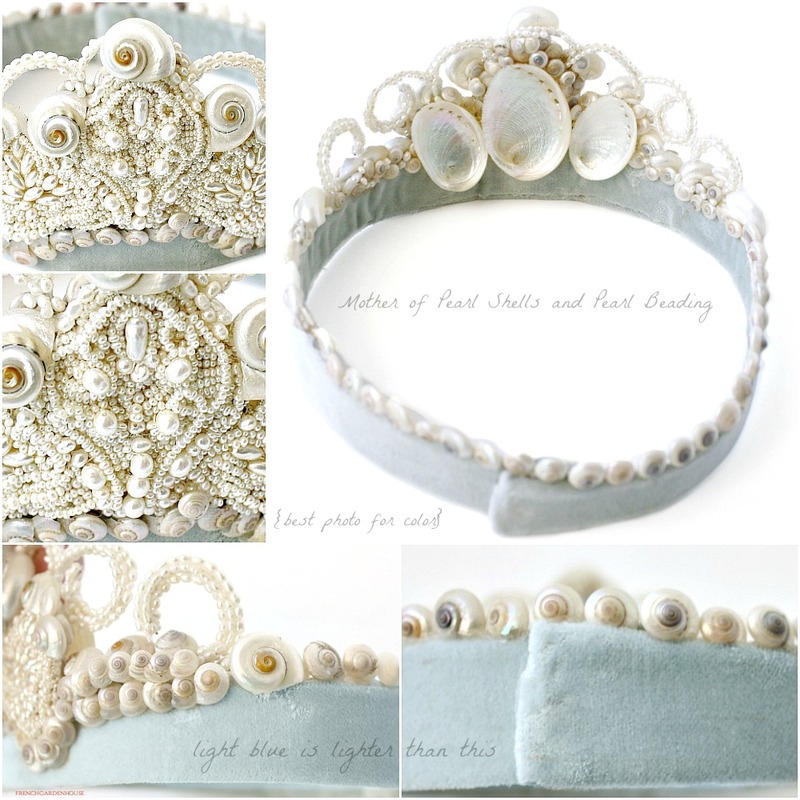 This collectible tiara took weeks of patient, dedicated work, each little shell was hand placed in the luxurious design, nestled in between lustrous vintage Mother of Pearl beads, pearls, seed pearls, all on an antique light blue velvet band. Made in the USA by and exceptional shell artist. Tiny, luminous mother of pearl shells from the ocean sparkle and glow next to swirls of sead pearls, in soft colors of White and Cream. 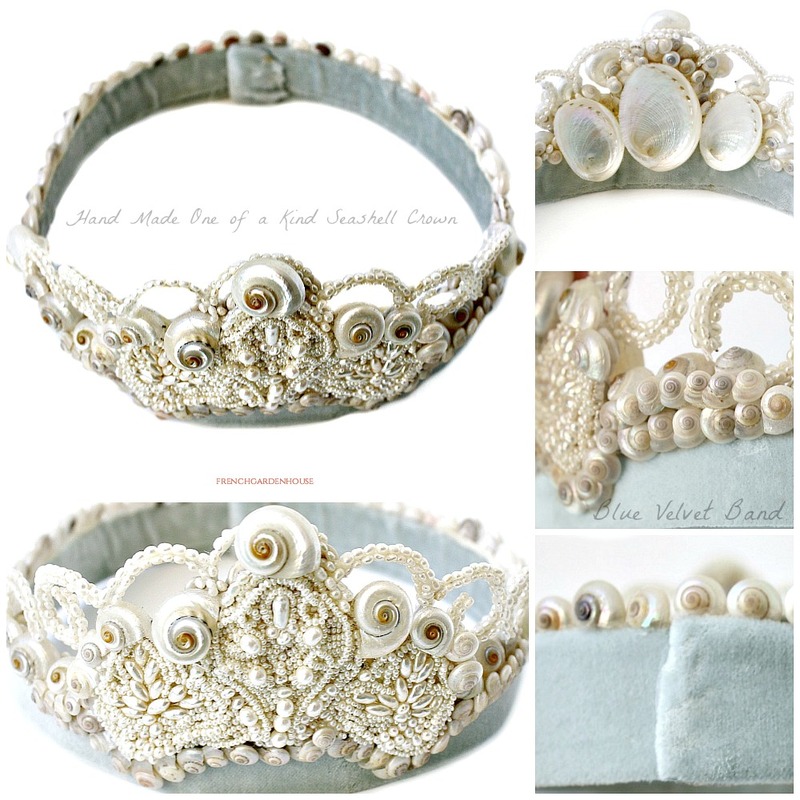 A perfect crown or tiara for your wedding by the sea, or, for those of you romantic lovers of all things heavenly feminine, a once in a lifetime goddess addition to your collection. A rare to find, one of a kind luxury treasure, no one else will have the same bridal head piece as you! A few rubs on the velvet, does not detract at all. The height of luxury and romance.